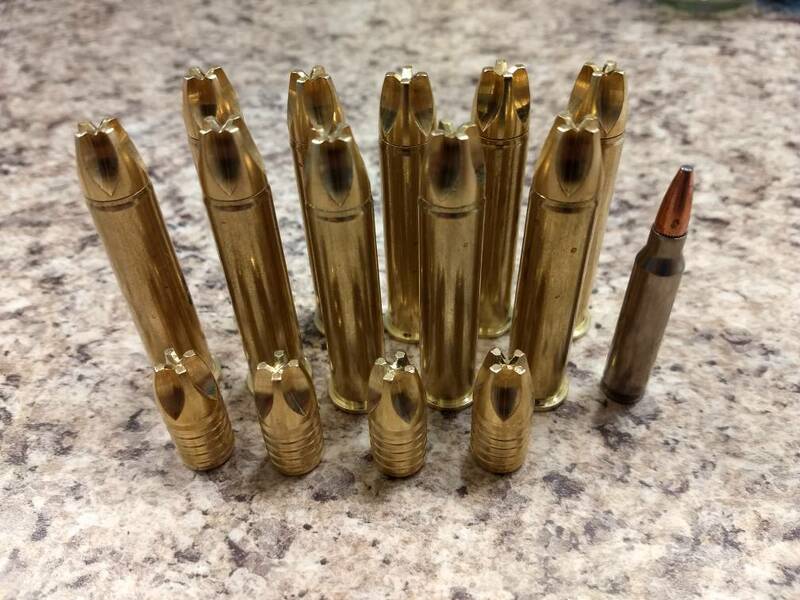 Anyone ever used any of their extreme penetrator rounds for rifle? I had a discount code and picked some up for my 45-70. 305 grains of solid projectile. Seem to feed just fine in my Henry lever action. I've loaded two different loads to try out. Wondering what they will do for hogs!!!! Next to regular 300 gr federal fusion and 5.56 for size comparison. I've used their subsonic 300blk ammo and it is fantastic. 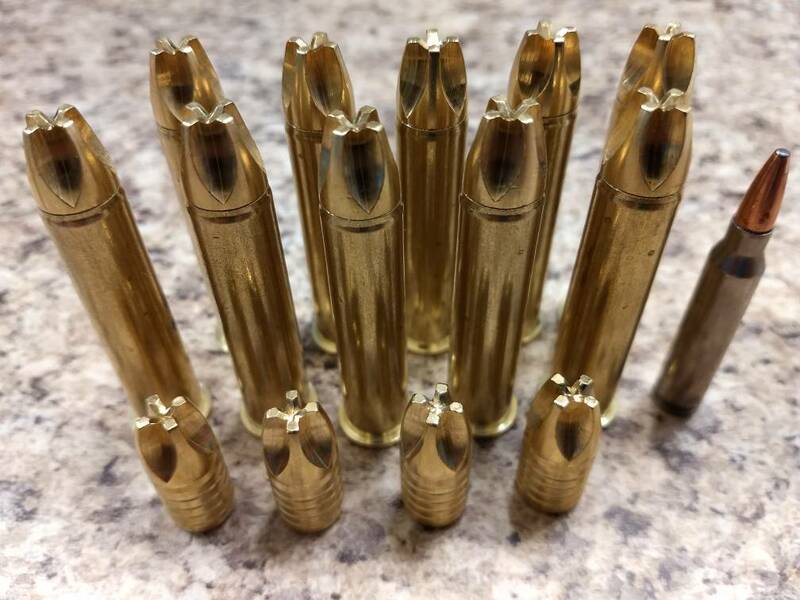 Lehigh makes some awesome bullets. Good deal. We'll see how the bullet and the load do in my Henry lever gun. 45-70 vs hogs - - -> Want to blow a huge hole and ruin alot of meat . 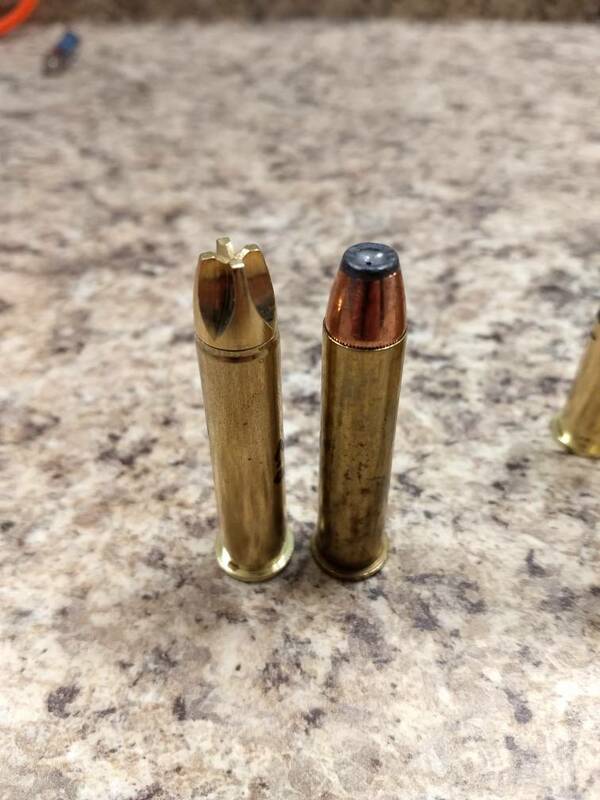 . . Hornady 300gr pushed as fast as possible. Want to penetrate the largest of hogs . . . 405gr WFNGC (hardcast). Put it on the shoulder. Yeah,in an open peanut field,I usually just chase 'em down and hamstring 'em with my Swiss Army Knife. ADDED: Take a look at the Cutting Edge Bullets website. (.458" bullets) It is hard to believe that they would do any better than a 405 as mentioned above. The weight,combined with the speed that you can drive it at,to me,is perfection. Last edited by SAWMAN; 04-15-2019 at 11:56 AM. I have two loads, one mild and one medium. I may load them hotter depending. I've shot hogs with both regular expanding .458 rounds and hard cast! You're right about destroying meat with expanding ones. The hardcast just punch right through. Curious what this bullet design will do. They say it's to penetrate massive amounts and provide some extra wound cavity. So we'll see.